Amidst the small and big preparations for a wedding, the invitation card is something that cannot be neglected. The Indian wedding card designs are probably the first thing noticed by the guests about the wedding. This gives the first glimpse of how the wedding would be. These invites consist of all those essential details like an appropriate information about the bride, groom, and their families. The venue, date, time of all functions are also required in a card. Earlier invitations were theme based but with time they are developing by using extraordinary fonts and designs. 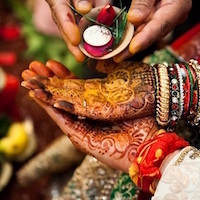 Hosting a lavishing and extraordinary wedding is not just enough these days. Each and every detail needs to be thoughtfully invested in. A wedding is about joining two souls in holy matrimony, and two unknown families into one. This leads to weddings being celebrated as a festival. The availability of a numerous amounts of designs, fonts, colours, motifs and more gives the families of the couple tremendous options to choose from. Weddings being a rushed occasion with tons of preparations to be done. Hence, it gets difficult to go around vendor to vendor for selection of a card. 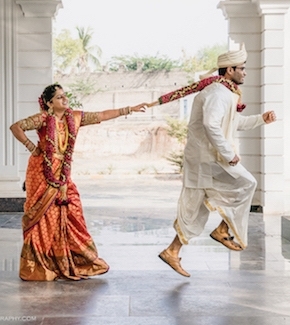 For such situations, wedding cards are now available online. These cards can also be customised, giving it a personal touch. Here is a selection of some of the exquisite and extraordinary wedding card designs. These latest designs offer ideas and inspiration to prepare a wonderful invite for the D-Day. Among the most elegant, sophisticated and neat designs is the laser cut. These have numerous options and give creative motifs to the wedding card. 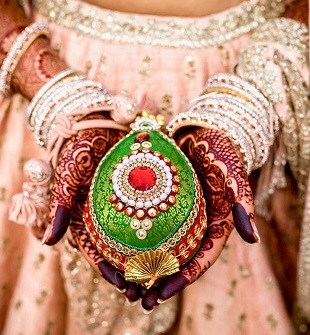 Mehendi art is among the most detailed and consists of thoughtfully invested designs. Having these designs on wedding cards enhances them and gives them a serene, exotic look. Something that definitely doesn’t get old is the peacock design wedding card. This traditional design has modernised with time and is among the most beautiful wedding card motif. Extremely innovative and unique, this is one of the most intriguing designs. This will let the guests await the wedding in surprise and awe. Adding embellishments with the use of rich colours give the wedding card a royal look. This is a blend of modern and traditional wedding card designs in one. The most popular and modern invite of a wedding comes in a box. This is among the most beautiful and unique ways to let the guests know that they will be having a delightful time at the wedding. The traditional roll-open cards deliver the fact that the theme of the wedding is to recreate the majestic and the royal nostalgia. Let the guests know that a king is wedding his queen. #TheRoyalWedding. Another fancy way of presenting a wedding card is by using a ribbon to tie it. This is like a cherry on the top of a beautiful invitation. These are some of the latest Indian wedding card designs. Selecting a design and playing with colours according to preference will make them more exquisite and attractive.